Denny Hamlin, winner of Sunday’s Cheez-It 355 at the Glen, entertained a sold-out grandstand with a celebratory burnout that trailed a plume of smoke the entire length of the frontstretch at Watkins Glen International. “I just woke up with back spasms this morning, ” he explained. “Just hits me every three or four months or so. I just wake up and can’t move. Really doubted being in the race car today, to be honest with you, but can’t say enough about this whole FedEx Freight Toyota team. 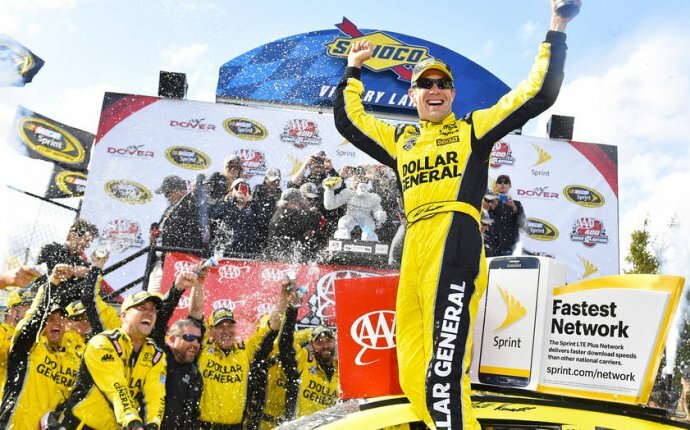 “I got right up to the bumper of the 78 (Truex) and couldn’t do anything there, and he made a move to get by the 11 (Hamlin) on the inside, and the 11 blocked him, ” Keselowski said. “I went high, and the 78 went high and by then I was already deep in the corner and got into him and turned him. That was really unfortunate, and the last thing I wanted to see. "Typical Watkins Glen, " Logano said. "I mean, it's just awesome, crazy racing, full contact. Just insane out there. So a lot of fun from the driver's seat and I'm sure the fans loved it as well in front of a sold out grandstand. It was pretty cool when I pulled over for the red flag in front of the grandstands and I could hear just fans screaming and yelling and loving it. I thought, ‘Man, this is really cool to be in the driver's seat right now.’ "
Notes: With his car obliterated in a four-car wreck on lap 53, Jimmie Johnson finished last (40th) in a Sprint Cup race for the first time in his career. Danica Patrick led 11 laps on Sunday, a career best for a single Sprint Cup event, exceeding the seven laps she had led on two occasions at Talladega. The victim of an early accident, Jeff Gordon recovered to finish 14th in relief of Dale Earnhardt Jr., who missed his fourth straight race because of concussion-like symptoms.